Tea vs. Coffee: Which One is Better For Your Health? The battle between tea and coffee often boils down to taste and health benefits. Traditionally, tea has been known to induce relaxation after a long day while coffee boosts energy and brainpower in the morning. But is one better than the other? Can you replace coffee with a cuppa tea to jump-start your day instead? Both coffee and tea have been touted for their health benefits. Avid consumers of both beverages will defend their favorite choice to the death. With so much passion on both sides of the aisle, it's hard to tell what beverage really is better for you. Here, we'll compare the two drinks and give you the information you need to make an educated decision. 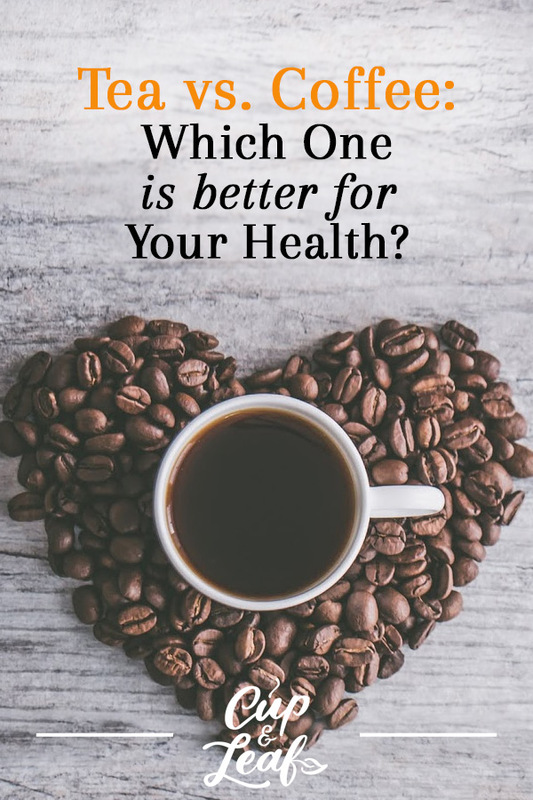 When it comes to deciding the best drink for your health, coffee, and tea are often the front-runners. Coffee has earned a slightly bad reputation when it comes to its chemical composition though. Too much caffeine has been correlated with a variety of ailments including migraines and nausea. Tea on the other hand has been an integral part of traditional medicine, making it one of the top choices for treating many of these ailments. To break down the main benefits of both beverages, we'll look at chemical composition, flavor, and health benefits. Most of the debate around coffee and tea starts with their caffeine content. The health benefits of caffeine lay largely in its ability to help us stay focused and alert. Caffeine works on a chemical level to block adenosine — a neurotransmitter that triggers relaxation. Caffeine is a go-to pick-me-up for many people when it comes to starting the day off right or powering through a sluggish afternoon. It's a common fact that coffee has more caffeine than tea. However, tea leaves contain more naturally occurring caffeine that unfiltered coffee beans do. The difference is that coffee is a strongly brewed beverage while tea is an infusion that is generally weaker. Coffee is typically brewed at higher temperatures, which allows more of the caffeine molecules to release from the beans into your cup of Joe. Tea on the other hand, is brewed at lower temperatures where all of the caffeine isn't extracted from the leaves. Coffee also has higher levels of caffeine since we consume the entire bean. For tea, the leaves are discarded along with a significant portion of the naturally occurring caffeine. In general, an 8-ounce cup of coffee has 90 to 100 milligrams of caffeine. 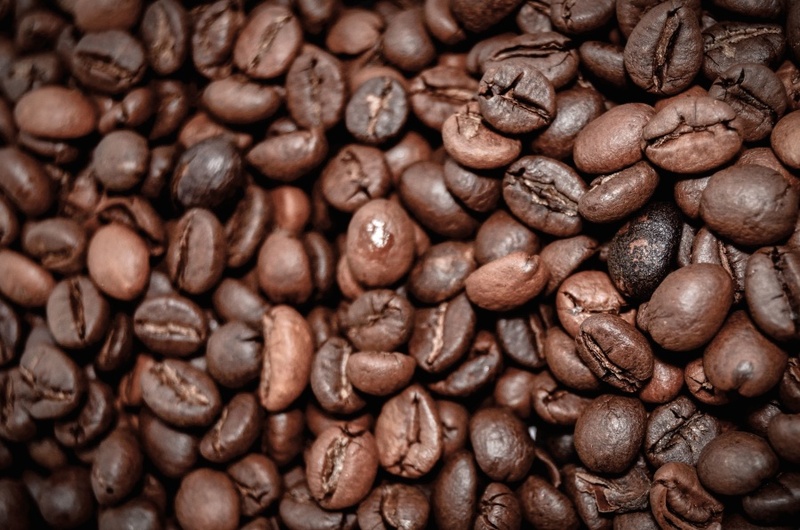 Some stronger roasts can contain higher levels of caffeine. True teas, such as black tea and green tea have varying amounts of caffeine. As a rule of thumb, the strongest teas contain around 70 to 90 milligrams of caffeine. Black tea and matcha green tea tend to be the strongest teas. Some teas, such as herbal teas or tisanes do not contain any caffeine. Although coffee contains more caffeine than tea, tea has other chemical compounds that boost attention and focus. Many teas including true teas contain an amino acid known as l-theanine. This amino acid helps to increase alertness, but delivers the energy more smoothly than coffee. This means you get an extra boost without the blood sugar spikes and dips you experience when you drink coffee. L-theanine also helps to slow the absorption of caffeine in your bloodstream. This means you'll have fewer jittery feelings. This amino acid stimulates neurotransmitters know as GABA, which helps to decrease anxiety. The result is a smoother, calmer alertness than the jolt that coffee provides. The combination of l-theanine and moderate levels of caffeine helps to reduce symptoms of caffeine withdrawal between beverages. Coffee takes the prize when it comes to caffeine content. However, tea delivers an energy boost that is more relaxed and has fewer side effects. It may seem unimportant to cover taste when deciding which beverage is healthier. But it doesn't matter how healthy a beverage is if you hate the taste and never want to drink it. Getting the health benefits out of coffee or tea means consuming each beverage regularly and consistently. This becomes exponentially easier when you love the flavor of your chosen beverage. On the whole, coffee tends to be more bitter and strong-flavored than teas. 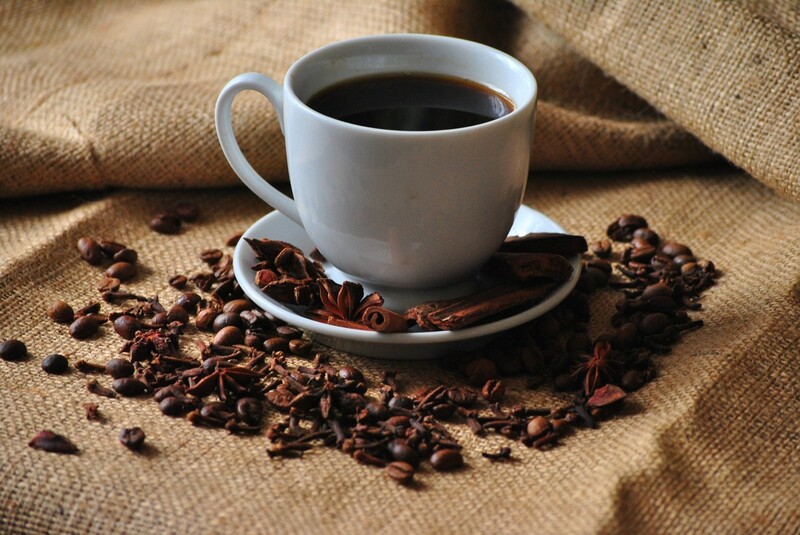 Coffee is more acidic resulting in bold, astringent flavors. These strong tastes and chemical profiles mean that coffee can be harsh on your stomach, especially when consumed in excessive amounts. Tea offers thousands of flavors depending on the variety and where it as grown. Real tea, or true tea consists only of green tea, black tea, white tea, and oolong tea. All other types are considered herbal tisanes and do not come from the actual tea plant, Camellia sinensis. Black tea and oolong tea boast the strongest flavors with options ranging from earthy and nutty to fruity and citrusy. Green tea tends to have a roasted of vegetal taste while white tea is more floral. Taste really comes down to individual preference. One person may enjoy the delicate flavor profile of floral herbs while another person may prefer the tobacco flavors of stronger brews. Tea seems to be the clear favorite since it offers a much wider variety of flavors. On the other hand, if you prefer rich, malty, and strong flavors, then coffee takes the cake. Whichever beverage you choose, make sure to avoid adding artificial sweeteners and sugars, which can turn these healthy drinks into calorie-laden nightmares. 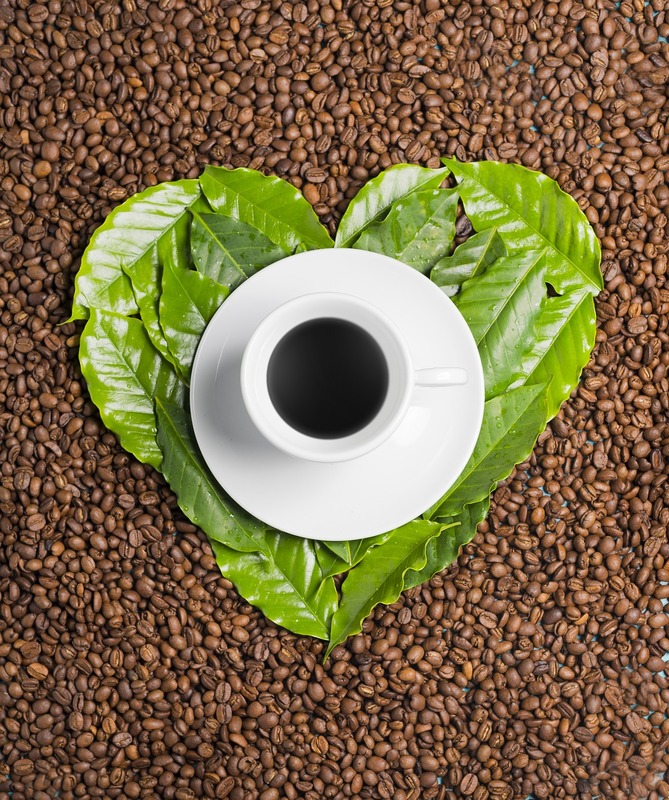 Coffee drinkers and tea drinkers will claim that their favorite beverage is the healthiest. When it comes down to it, studies have shown that both beverages offer significant health benefits. Drinking coffee every day can help to prevent serious disease such as type 2 diabetes. Scientists conducted a meta-analysis of almost 20 studies to examine why coffee drinkers have a significantly lower risk of diabetes. Researchers believe the caffeine content of coffee helps to inhibit insulin resistance. The analysis showed that for each cup of coffee consumed, participants demonstrated a 7% less chance of developing diabetes (1). Caffeine raises the levels of epinephrine, or adrenaline in your blood. That means you have higher levels of energy and quicker response times when it comes to physical activity. Studies have shown that caffeine can increase physical performance by 12% on average. This benefit is particularly useful for endurance exercises where higher adrenaline levels help to push through long periods of sustained activity (2). Coffee contains naturally occurring B vitamins and compounds such as manganese and potassium. These nutrients help to support organ functions and fight off colds and viruses. In fact, coffee contains 11% of the recommended daily amount of b vitamins. 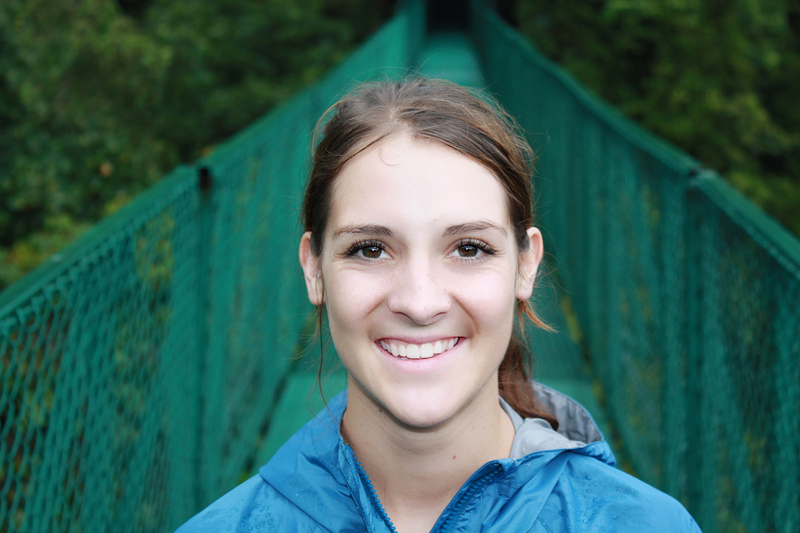 Just a couple cups of coffee and you're well on your way to consuming the proper amounts of vitamins and nutrients. One of the most potent health benefits of tea is its ability to prevent and even kill certain cancer cells. Research has demonstrated a link between tea and the prevention of oxidative damage, which leads to cancer (3). Tea is chock full of antioxidants that help to eliminate free radicals and prevent oxidative stress that can cause liver and breast cancer. The National Cancer Institute lists several clinical trials and epidemiologic studies that support tea's ability to prevent and fight cancer (4). Green tea, along with many other teas, has the ability to speed up metabolism and boost fat loss. One study found that consumption of four cups of tea per day resulted in significant decrease in body weight and waist circumference over an 8-week period. Researchers believe the antioxidant EGCG is responsible for these weight loss benefits. The EGCG works to speed up fat oxidation, which allows the liver to burn and remove fat more efficiently (5). 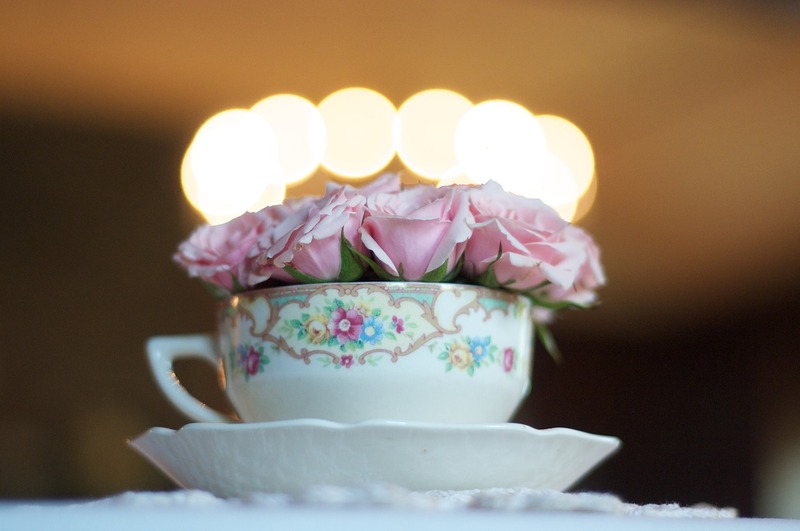 Regular tea drinkers have a lower risk of developing neurological diseases such as Alzheimer's and Parkinson's disease. A study published in Phytomedicine found that regular consumption of green tea boosts memory recall and retention as well as cognition (6). Studies have shown that tea can help to lower LDL cholesterol, or bad cholesterol that can cause serious cardiovascular disease. Some teas can also help to lower high blood pressure and improve blood circulation, lessening the chance of blood clots and heart attacks. Experts say three to six cups of tea every day can help regulate blood pressure and prevent heart problems (7). When it comes down to it, both tea and coffee offer health benefits. In the end, the choice is yours and will depend largely on taste and desired outcomes. If you're trying to reduce your caffeine intake, tea is a great choice. That's because you can drink multiple cups throughout the day and still not get as much caffeine as one or two cups of coffee. That doesn't mean you have to go cold turkey if coffee is key to kick starting your morning. Both beverages are healthy choices when you're looking for an energy boost. Just remember to limit your coffee consumption to one or two cups per day to avoid side effects. For tea, you can drink 4 to 5 cups per day without negative side effects from caffeine. Loose leaf tea contains higher amounts of antioxidants and biological compounds that are responsible for health benefits. This is because tea bags often contain broken leaves, dust, and fannings as cost-saving measures for manufacturers. Always try to use loose leaf tea instead of tea bags for best results. If you must use tea bags, look for large sachets that allow the leaves to expand and infuse fully.